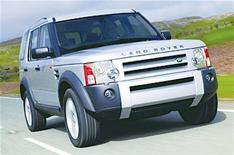 Deal of the Day: Land Rover Discovery | What Car? Has the snow has got you thinking about buying a 4x4? If the answer's yes, then we've got some hot deals to warm up even the most snow-bound new car buyer. Today, we're highlighting a 8305 saving on the list price of a Land Rover Discovery 2.7 TDV6 GS. That means you pay just 21,017.